Today is the last day to order from 52home for Valentine’s Day and receive guaranteed delivery by the 14th. Q: I’d love to hear how your parents counseled you all about engagement and marriage. What did they tell you to look for in a husband? C.J. and I sought to provide our daughters with a “list” from Scripture of essential qualities that should characterize any man desirous of pursuing them. These qualities included: 1. Genuine passion for God. The greatest commandment is to ‘love the Lord your God with all your heart and with all your soul and with all your mind’ (Matt. 22:37). A mere profession of faith is insufficient. A godly man will consistently display love, obedience, and increasing passion for the Savior. 2. Humility. ‘This is the one to whom I will look,’ says the Lord, ‘he who is humble and contrite in spirit and trembles at my word’ (Isa. 66:2). Your daughter will marry a sinner—that is certain. But if he is a humble and teachable sinner who is quick to repent, then he will be sure to grow in godliness. This humility will also be evident in his love for and submission to God’s Word. 3. Love for the local church. At the center of God’s plan on earth is His church. A young man must be pursuing fellowship and serving faithfully in a local church if he is to make a good candidate for a husband. 4. Biblical convictions about manhood and womanhood. A successful marriage is due in large part to a couple’s grasp of their respective roles and responsibilities. A potential husband must be committed to complementary roles found in Scripture. He must be ready to embrace his responsibility to love and lead his wife. (Eph. 5:22-25). In addition to comparing the young man to this list of essentials, we also helped our daughters evaluate God’s commands to wives. From Scripture we asked our daughters the following questions regarding the young man each was considering: -Do you fully respect this man the way a wife is called to respect her husband? 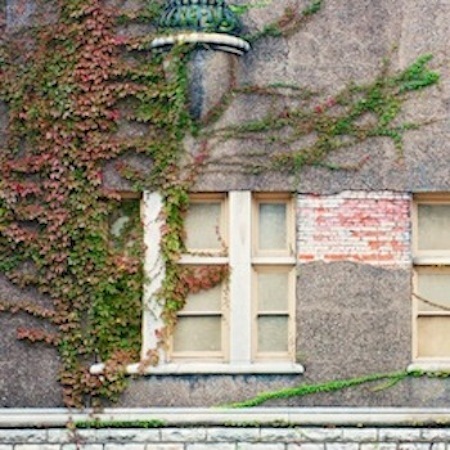 -Can you eagerly submit to him as the church submits to Christ? -Do you have faith to follow this man no matter where he may lead? -Can you love this man with a tender, affectionate love? (1 Cor. 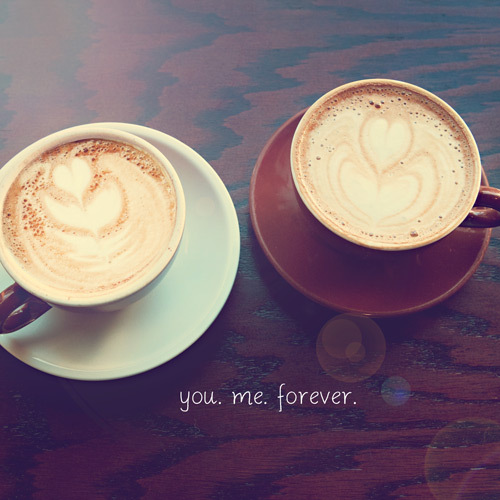 11:3; Eph. 5:22, 33; Col. 3:8; Titus 2:4-5) Again, this list of qualities and questions is hardly exhaustive. However, it provided clear, objective, and biblical criteria to assist our daughters in discerning God’s will. Recently I spent some time with another mom. And you know what? Surprise, surprise, she’s another Margie. This woman is a better mom than me, in a lot of ways. You can see the fruit of her consistency, her patience, and her loving authority in her children’s lives. Option #2: Make excuses. Well, of course she is a good mom. She has so many more advantages than I do, and she doesn’t have the unique challenges to deal with. If only my situation was more like hers, then I would probably be doing even better than she is—by far. Option #3: Judge and Resent. She probably thinks she is better than me. I just don’t think I can hang around someone who makes me feel so inferior. I need to be with people who are real about their weaknesses and failures, just like me. Or, there is a better, biblical way…. Option #4: Give Thanks and Learn. Thank you God for bringing this woman into my life. Thank you for the way that she gives glory to you. Thank you for the way that her children are bringing glory to your name. I pray that you would bless her. And I pray that you would help me to learn from her. Please help me to be more consistent, more patient, more loving toward my children, for their good and your glory. Thank you for this woman who provokes and stirs me up “to love and good works” (Heb 10:24). Help me to grow, by your grace. In Jesus’ mighty name, Amen. And then give her a call, ask her out for coffee, and take good notes. Now that’s a better option. January 30th is the order deadline for Valentine’s Day delivery over at 52home. Enter code “Valentine” at checkout to get 15% off your entire order. You can view the Valentine’s collection here. It’s been a long time now, but do any of our long-time readers remember back four years ago when we asked you to send in your stories for a new book Mom and Nicole were writing about beauty? I think I see a few hands out there. Well, today I’m excited to announce that True Beauty has finally been completed, and is scheduled for release by Crossway Books on March 31, 2014. We’re particularly excited to share this news with you, because True Beauty has emerged, in part, from the conversation we feel so blessed to have with all of you here at girltalk. The book is full of the stories, questions, struggles, and comments that so many of you shared with us. Whether it’s age-defying makeup or the latest diet fad, our culture continually tells women that beauty consists of flawless skin and a supermodel figure. 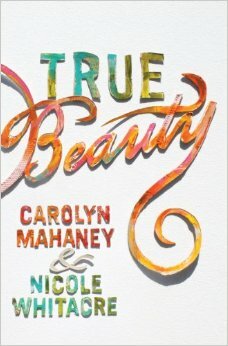 In True Beauty, Carolyn Mahaney and her daughter Nicole Whitacre direct us to the truth of God’s Word, where we encounter an entirely different—and refreshingly liberating—standard of beauty. “Combining the eminently practical with the deeply theological, Carolyn and Nicole give us a work that is both terrifically up-to-date and rooted in God’s unchanging Word. —Kevin and Trisha DeYoung, Senior Pastor, University Reformed Church, East Lansing, Michigan. Kevin and Trisha have been married for 12 years and have six children. “Whether single, married, wife, mom, husband, father, brother, or boyfriend, True Beauty is a must-read. You can read more about what people are saying about True Beauty and pre-order your copy today. Mom and Nicole are so grateful for your participation and prayers and hope this book will be an encouragement to each one of you. Having read it myself, I can assure you that it will. I think it adds character, don’t you? Now I know many young women who are eager, desperate even, for godly advice. But particularly on the Internet, there seems to be a trend of sometimes labeling godly counsel as legalistic or condemning. Granted, if you’ve had the unpleasant culinary experience of an extra-biblical opinion shoved down your throat, you may not be asking for another. But more often than not, I wonder if this reaction comes from sinful comparison, a fear of feeling inferior, confusion over how to biblically handle those negative feelings that come from jealousy and envy. But Jesus’ exhortation in John 21: “What is that to you? You follow me?” is not an encouragement to isolationist Christianity. It does not encourage individualism and pride. Rather, following Christ leads us into greater humility, which draws us deeper into community with other believers who—regardless of their different backgrounds and circumstances—are also trying to follow God. These verses do not mean we have to take every suggestion we receive, or that well-intended advice is infallible advice. But a humble heart is on the look out for wherever wisdom can be gleaned. A humble heart has no problem admitting someone has followed farther than we have; it runs to catch up. Thanking God today for all of the men and women whose biblical vision and courageous sacrifice made our family possible.